Traditional carpeting often becomes a major problem in basements, as damp basements inevitably cause mold growth in the carpet. 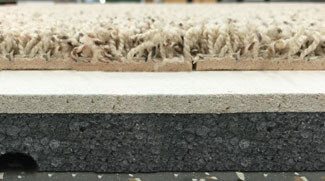 However, Basement Systems provides two unique and innovative carpeting options to prevent these problems. ThermalDry® Basement Carpet Tiles have a waterproof base with a thermal barrier to provide natural insulation and waterproofing. Pro Comfort Carpeting offers luxurious comfort in a waterproof material to increase comfort and warmth of basement floors. 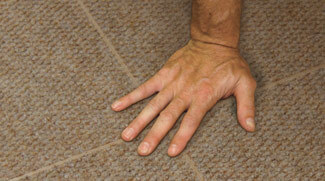 Traditional carpeting has organic material in it that makes for the perfect habitat for mold, mildew, and dust mites. In a damp basement, the carpet will become wet and mold growth is all but a certainty. ThermalDry® Carpet Tiles come with a waterproof plastic base and a thermal barrier, providing waterproofing and a measure of insulation in a comfortable, aesthetically pleasing basement floor. For a complete finishing choice, pair Pro Comfort Carpeting with ThermalDry® Insulated Floor Decking™. This offers the most effective insulation and provides outstanding warmth and comfort, all while maintaining a waterproof floor. Your local Basement Systems dealer can help you determine which basement carpeting option is right for you needs. Leave traditional basement carpeting in the past and get a waterproof basement carpeting solution today!